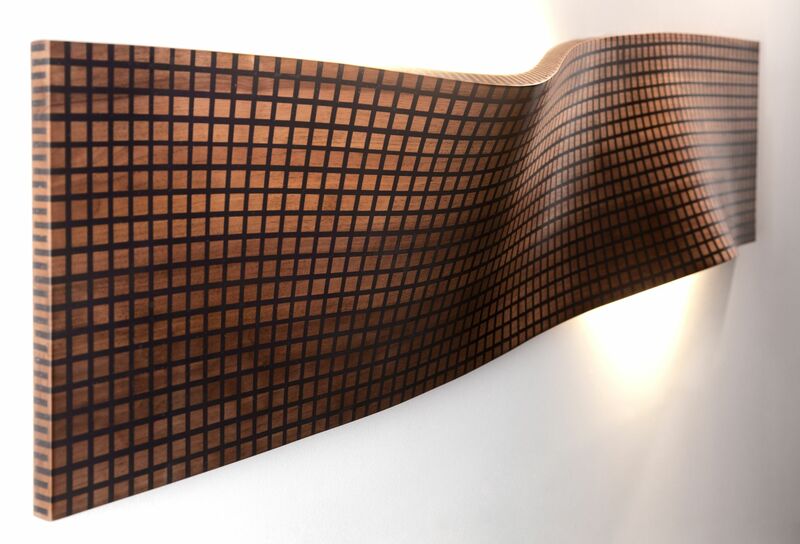 Grids are milled in the top and bottom of solid wood planks, allowing them to be bent in fluid 3-dimensional curves. 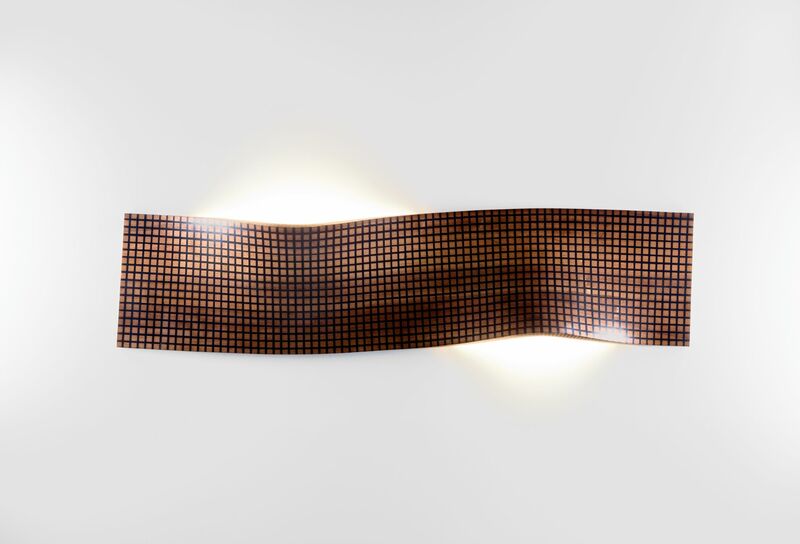 They subsequently are filled with an elaborate electrical circuit, connecting hundreds of LEDs. 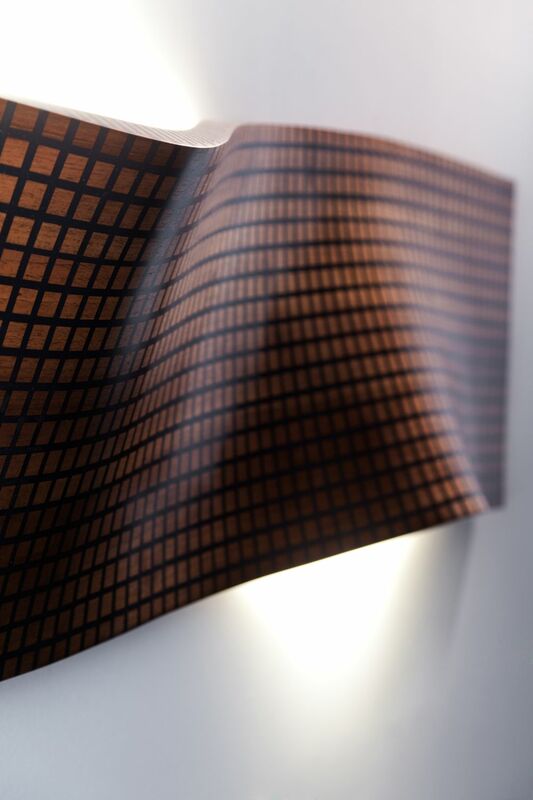 The wooden planks are transformed into cyborg-like, illuminating surfaces. 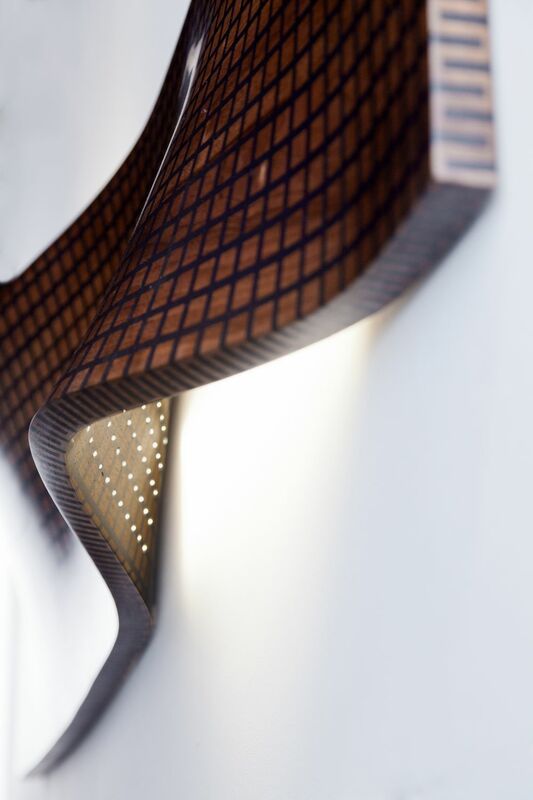 Hand-crafted from a beautiful natural material, these planks can be plugged into a computer, and the movement of the light can be programmed. They seem to come from a virtual reality; their liquid lines are reminiscent 3D-modelling software. To freeze the shape and solidify the piece, the grids are filled up with resin. 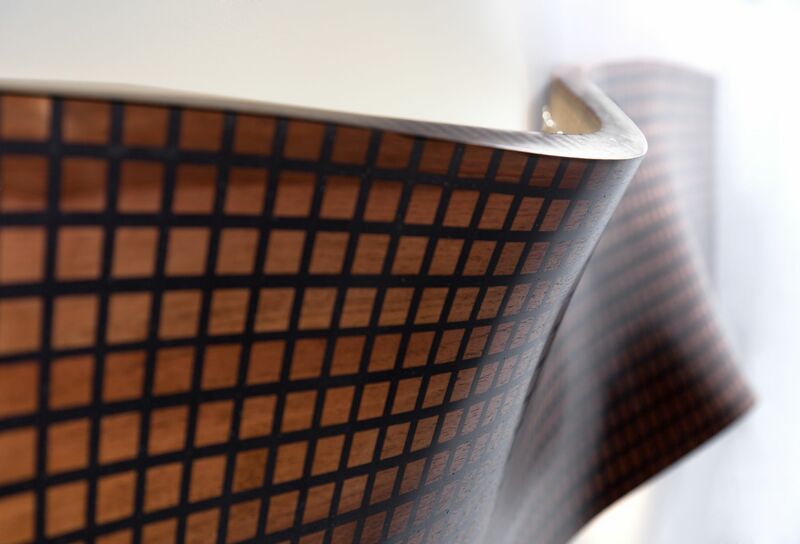 During our research, we discovered the Swiss company Dukta, which has been working on techniques to make wood flexible for many years. Together with their production company Schneider, they have given me great technical assistance during the development of this project, and I would once again like to thank them for their generous support.